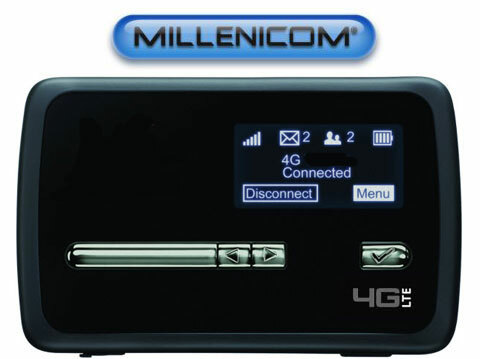 Congrats to James D. of Casa Grande, Arizona who just won a $25.00 Restaurant.com gift code for writing a review for MiFi 4620LE Hotspot for Millenicom's $69.99/mo 20GB 3G/4G Plan (Includes Activation Fee) at 3Gstore.com! Every week we randomly pick one product review from the previous week and award the writer a $25.00 gift code. We appreciate ALL the reviews our customers write, whether they are positive or negative - honest reviews like James D.\'s help other customers decide if the product is right for them. After you purchase a product from 3Gstore.com, we encourage you to log in and 3Gstore.com and leave a review letting people know how the product worked for you - you'll be helping others, and you'll automatically be entered to win a restaurant.com gift code!. It works great , I like the antenna port for use in dead areas it happens to all company's . We are full time R V ers it is important to us to have top of the line equipment and I believe the 4620le is it. Thanks James Drury. Motorola's CEO Dennis Woodside today personally announced a handful of details about the company's next flagship phone. The phone - to be called the Moto X - will be assembled in the USA, in a Texas factory previously used to make Nokia phones. Yesterday AT&T announced the launch of 4G LTE service in eleven new markets, which means the company now reaches over 200 million potential POPs with faster LTE service. Within AT&T’s press release they’ve expanded LTE service to the following areas; Dover, Del. ; Leonardtown, Md. ; Ocean City, Md. ; Asheville, N.C.; Goldsboro, N.C.; Salem, Ore.; Culpeper, Va.; Roanoke, Va.; Longview, Wash.; Port Townsend-North Whidbey Island-Camano Island, Wash.; and Shelton, Wash. The latest deployment brings them up to 239 markets covered with LTE and they plan to have over 300 million people covered by the end of 2014. Although this is more than Sprint or T-Mobile offer, it’s still a far cry from the 497 markets Verizon has covering 95% of the population with 4G LTE service. To play catch up AT&T will be launching another 77 markets throughout the summer months and offers excellent wireless speed. Important notes - SpeedFusion Site to Site VPN v5.4 is backwards compatible with firmware 5.2/5.3 and it’s recommended to upgrade all equipment to v5.4 for the best performance. The 5.4 build firmware will also be using TCP port 32015 and UDP port 4500 (Firmware v5.2/5.3 used TCP port 32015 and UDP port 32015). 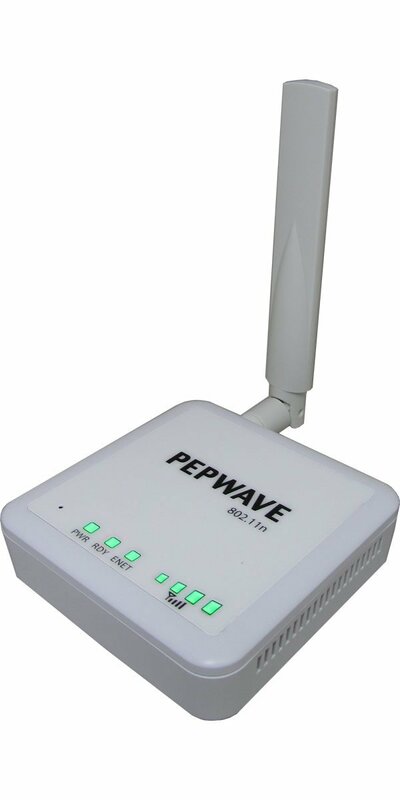 Congrats to Diana R. of Coburg, Oregon who just won a $25.00 Restaurant.com gift code for writing a review for Pepwave Surf On-The-Go 3G/4G Router w/ WiFi as WAN (Surf OTG) Version 2.0 at 3Gstore.com! Every week we randomly pick one product review from the previous week and award the writer a $25.00 gift code. We appreciate ALL the reviews our customers write, whether they are positive or negative - honest reviews like Diana R.\'s help other customers decide if the product is right for them. After you purchase a product from 3Gstore.com, we encourage you to log in and 3Gstore.com and leave a review letting people know how the product worked for you - you'll be helping others, and you'll automatically be entered to win a restaurant.com gift code!. This small device works great. The amplified antenna pulls in wifi much better than my laptop. It works perfectly allowing us to use our two laptops with one usb air card. 3Gstore's support has been fantastic! Verizon Wireless announced this week, beginning the second half of this year, they will begin deploying “small cells” (think tiny cell towers the size of a mini-fridge) around the country. This will help, not only fill in gaps in coverage, but keep the 4G LTE flowing in dense, high traffic areas like malls or business districts. No more dropped calls in busy areas. 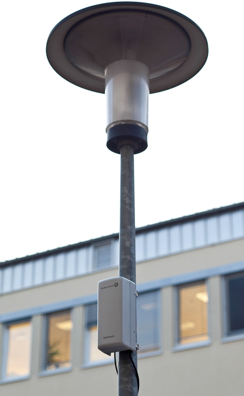 You’ll start seeing these small cells popping up on lightposts, building walls and utility poles in your city later this year and combined with Verizon’s Distributed Antenna System (DAS) to help penetrate into marble and building basements. Plus if you still can't get signal in your building, just call 3gstore.com. We have plenty of different repeater setups that will help bring the signal in from the outside. Verizon has 497 US markets of 4G LTE service and is planning to keep expanding. This morning at CTIA in Las Vegas, Marni Walden-chief operating officer announced that Verizon's 4G LTE network now covers 497 markets, which is 95% of their 3G network. Remember that their initial goal was to cover 100% of their 3G network by the end of 2013, but have since moved the date up to mid-year as LTE build-out has increased dramatically. With 95% complete, they’ll hit their goal and then some. Back in January they were at 473 markets, so already this year they have added another 20+ along with countless expansions is existing markets. Check the coverage maps at 3gstore.com/coverage to see if Verizon is in your area. Yesterday Sprint increased their offer for their acquisition of Clearwire now offering $3.40 per share for the 50% of Clearwire that Sprint doesn’t currently own. Previously their offer was $3.20 per share so this increases per share value by $.20 cents and values Clearwire’s total value around $10.7 billion. The increased offer is likely a counter after Dish came into the mix and started negotiations with Clearwire in an attempt to acquire them and take the deal away from Sprint. Dish CEO Charlie Ergen has said their offer for Dish is a better value saying dish is better suited because their company “speaks English,” while Sprint is now majority owned by Japanese carrier Softbank. Throughout the second half of this year, we plan to enable pre-loaded video chat apps over cellular for all our customers, regardless of data plan or device; that work is expected to be complete by year-end. The AirLink GX440 4G LTE intelligent gateway is ideal for M2M and mobile data applications where the highest data speeds are required. An embedded LTE data module and robust ARM11 class micro-processor enable the GX440 to support today’s highest band-width solutions. The 100base-T Ethernet port enables simple integration with any IP enabled device, such as video surveillance cameras, in-vehicle mobile data terminals, digital signs and much more. It's a “one device fits all” solution allows customers to deploy and manage the same device for multiple applications, simplifying deployment and management. This router is best for: The AirLink GX440 is ideal for rugged applications where a traditional router and wireless modem wouldn't be applicable, such as ATMs, kiosks, digital signage, or M2M applications. Size: 5.6" x 3.8" x 1.7"
The AirLink® LS300 is the most compact 3G gateway from Sierra Wireless and features an embedded Sprint 3G module. Rugged aluminum casing ensures reliable operation in the harshest environments with quick and easy deployment. A comprehensive set of configurable options means the LS300 gateway works with most industrial, enterprise and transportation applications out-of-the-box. This router is best for: The LS300 is ideal for rugged applications where a traditional router and wireless modem wouldn't be applicable, such as ATMs, kiosks, digital signage, or M2M applications. This router does NOT feature WiFi - if you need WiFi, check out the GX440 series. Size: 3.2" x 3.7" x 1.2"
Customers are now reporting to see T-Mobile 4G LTE pop up in locations that weren’t set to go live until later this year. It appears they’re running some pre-commercial launch tests to see how real world speeds and load is handled in larger markets. So far customers in New York City, Detroit and Minneapolis are reporting LTE showing up on LTE compatible handsets. T-Mobile plans to officially launch Minneapolis in late May, while Detroit and New York City won’t be officially live until June. T-Mobile’s goal is to cover 100 million POPs with LTE by the mid part of 2013 and over 200 million POPs by the end of 2013. If they meet their goal it will put them close to Sprint’s 4G LTE coverage, but far behind both Verizon and AT&T who are dominating LTE coverage now. The U.S. Supreme Court has sided with the Federal Communications Commission regarding a dispute over cell towers. CELLULAR providers rejoice. Wireless industry players complained to the FCC that local governments are often slowing down the process to adjust existing cell towers or install new ones. The FCC recommends that local jurisdictions should act on amendments to existing towers within three months and on new towers within five months. The Supreme Court agrees. Several cities had challenged the FCC's authority on the matter.